It was super hard to narrow down all the great links from last week's party for my Frugal Round-up...so enjoy! Lol! 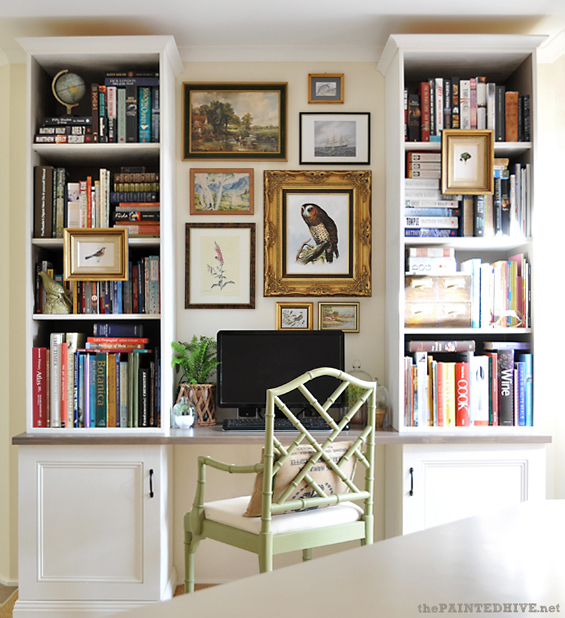 First up, The Painted Hive shared her to-die-for home office. I am completely smitten with this space! It's perfect!! Sweet Parrish Place shared her Brown Paper Bag hallway floor. 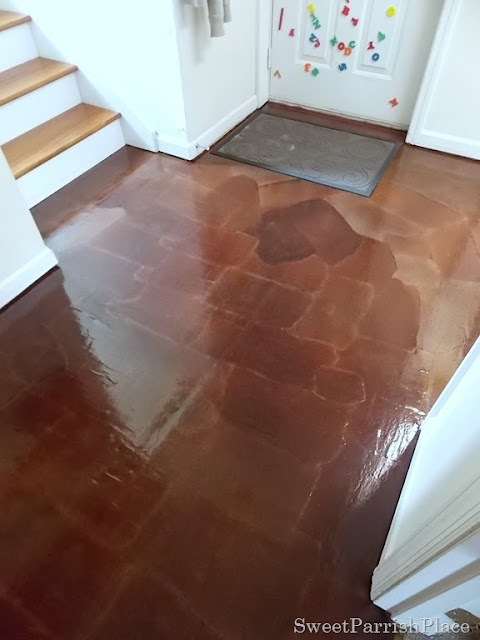 Her version looks like stained concrete and I love it! 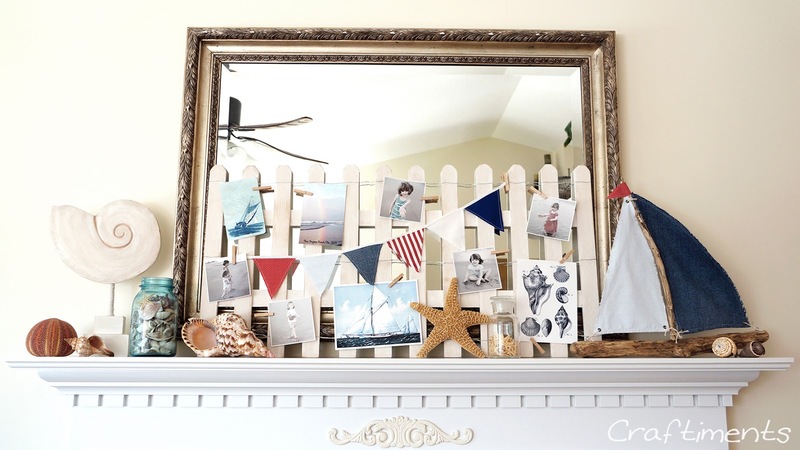 Finally, Craftiments shared her adorable "picket fence" summer mantel. It makes me want to go to the beach! Thanks for hosting! That floor looks great! Have a great weekend! Thanks so much for the great party, Wendy! Hope you're enjoying your summer. Have a great weekend! Great links! I've checked out several. Thanks. Thank you so much for the party - enjoy your weekend! Thanks for hosting! I'm new to this link up and am happy to be here! Loving that mantel, thanks for hosting! Hi Wendy - I've been enjoying your blog. Love the features, especially that home office. Thanks so much for the highlight of my paper bag floors! I have been away for a couple of weeks and did not know until this morning. What a nice surprise to wake up to!